Carlos Ghosn could again be rearrested on new charges, which will start the detention period anew and allow prosecutors to hold him for up to another 20 days. TOKYO — Almost two months after his shock arrest in Tokyo, Carlos Ghosn remains at the mercy of the Japanese legal system, as prosecutors continue to build their case against the car industry titan. A Tokyo court extended the detention of the former Nissan Motor Co. chairman for another 10 days on New Year's Eve after he was re-arrested on fresh charges Dec. 21. Meanwhile, Ghosn's former aide Greg Kelly, who was detained with the executive back in November on allegations of helping him underreport his compensation, was released on bail Dec. 25. 1. So, what's next for Ghosn? His current detention period will end Jan. 11. By then, prosecutors will need to announce whether they intend to indict him officially on the charges of breach of trust, which they likely will do. If he is indicted, Ghosn will be legally allowed to apply for bail — a decision which will be made by the court and can be appealed by prosecutors. There is also the possibility that Ghosn may be rearrested on new charges, which will start the detention period anew and allow prosecutors to hold him for up to another 20 days. Ghosn has already been rearrested twice since he was originally taken into custody Nov. 19. 2. How long is this going to go on? There's no clear answer to this. In Japan, the powers given to police and prosecutors to incarcerate suspects during an investigation without charging them are unique in the developed world. While in the U.K., suspects can be held for up to 96 hours for serious crimes such as murder, and up to 14 days under the Terrorism Act, Ghosn has already spent more than 40 days in the Tokyo jail. Bail isn't possible until being indicted, but there's no limit to the number of times prosecutors can rearrest him on new charges. Legal experts say this is all a strategy to secure a confession and make a trial easier. Japanese prosecutors rarely risk a not-guilty verdict. Fewer than 1 percent of cases in Japan's district and county courts in 2017 resulted in a not-guilty verdict or the defendant being released, according to prosecution data. 3. What are the allegations Ghosn is facing? He's been accused of understating his pay, which would be a violation of Japan's Financial Instruments and Exchange Act. Prosecutors also say the executive acted in a way that constituted breach of trust, an allegation that would be in violation of Japan's Companies Act and carries a maximum sentence of 10 years in jail and a 10 million yen ($92,000) fine. Ghosn has denied wrongdoing through his lawyers. Nissan has separately alleged that Ghosn misused company funds, including purchases of homes from Brazil to Lebanon and hiring his sister on an advisory contract. 4. Where's Kelly, Ghosn's former aide? After posting bail, Kelly departed the detention center in a cab late Dec. 25. He was taken to a hospital in Ibaraki Prefecture, about 65 miles north of Tokyo, for treatment of his spine. He had no plan to meet the press immediately, his lawyer said. The court has set conditions for the bail, including a ban on leaving Japan. He isn't allowed to get in touch with people involved in the allegations, and needs to live at an address approved by the court. 5. How are things at Nissan? 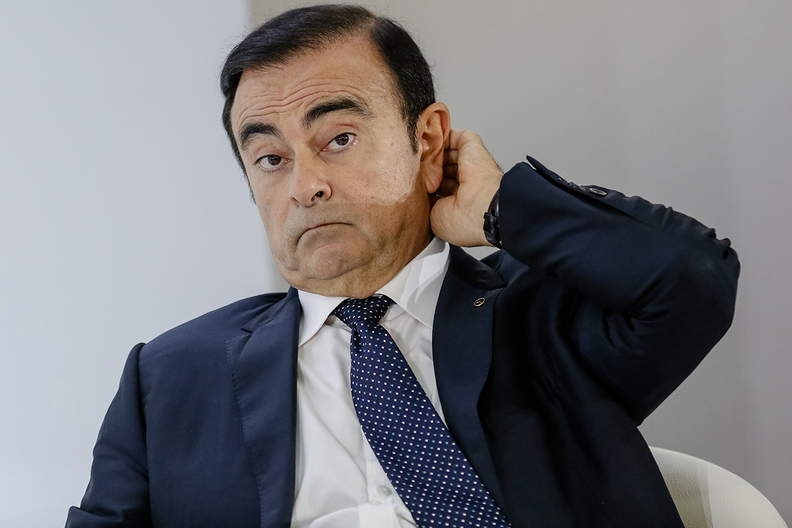 The arrest of Ghosn has rocked the world's biggest auto alliance, raising questions over how the two-decade partnership between Nissan and Renault SA will change. While both have reaffirmed their faith in the tie-up, Renault's 43 percent stake in Nissan with voting rights and the French state's holdings in Renault have been a source of tensions. Renault has repeatedly asked the Japanese firm to hold an extraordinary general meeting of its shareholders to address corporate governance issues. Nissan has also been indicted for breach of Japan's financial laws. In an internal memo last month, CEO Hiroto Saikawa sought to reassure staff that the carmaker is addressing shortcomings in corporate governance. "We continue to conduct an internal investigation to uncover all of the facts, and we we will take firm action going forward," he wrote in the memo.